These are vintage lucite beads that were made in Italy. 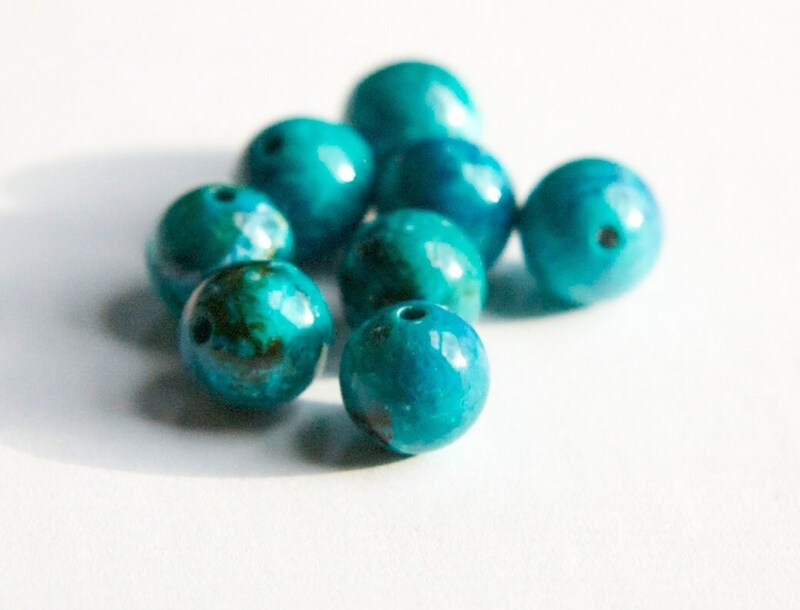 They are a blue green color with a marbled design. These measure 10mm. You will receive 8 beads. 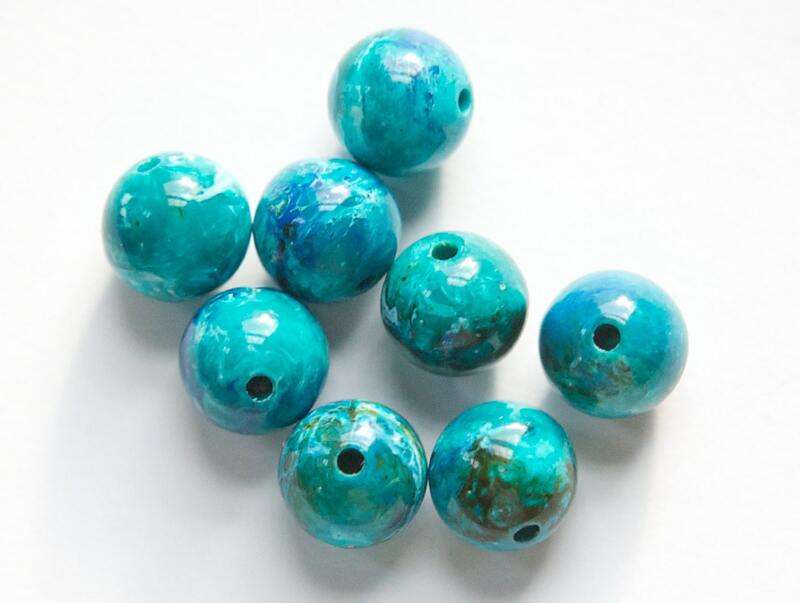 Great beads, can't wait to create with them!